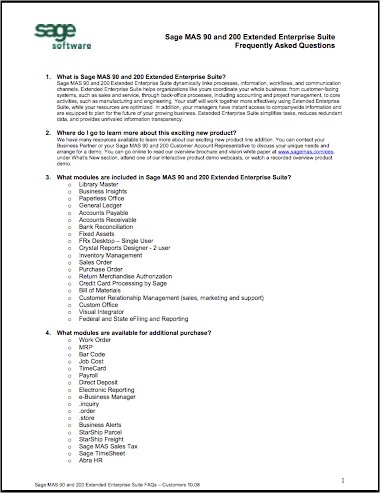 Sage Software has published a list of frequently asked questions (FAQ) about their new Extended Enterprise Suite which bundles the Sage MAS 90 or 200 plus SageCRM plus Sage FAS 100 (1,500 assets maximum). Because this new suite includes a number of different modules as well as the CRM and Fixed Assets – there is a new pricing which provides for a bundle of modules (listed below) which are available for a flat fee per user. 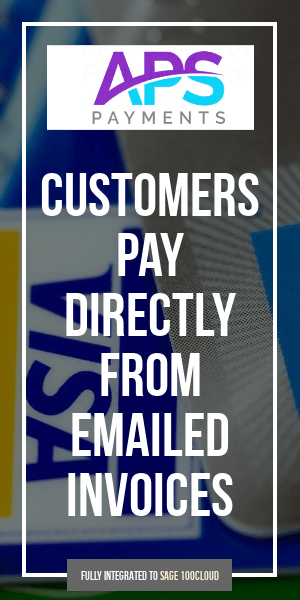 Basic maintenance is 19% of the purchase price or 25% of the purchase price for basic maintenance plus unlimited Sage support. Existing customers can upgrade their existing software to the Enterprise Suite for an upgrade fee (consult your local reseller for details.